Whether you are a newbie, a practicing therapist, or curious about the human energy system, this series is for YOU. 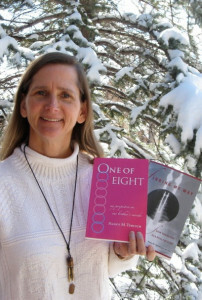 Nancy T will teach you ways to feel energy in your body as well as another person’s body. This series is designed to meet you where you are and show you so much more. Everything is in motion, everything vibrates, that’s energy! When things get stagnant or stuck issues arise in the form of pain, discomfort & disease. The 1st Thursday Energy Play Series opens the door to change by providing insight and bodywork. Through discussions, self-help exercises, energy healing techniques, exchanging bodywork, and exploring group interests, 1st Thursday Energy Play Series is FUN. Come and discover more about yourself and others. Cost : $10.00 / person per series. SAVE $10.00 ~ 2 for 1 ~ Bring a friend for FREE!!! By sharing our history and experience we learn from each other. It is amazing to witness a person feel energy for the first time while another person dives deeper into the human energy system. There is always more to discover in this endless process. “What a great get-together! Thanks for sharing your insights, knowledge, enthusiasm and suggestions. I hope to see you for the next 1st Thursday Energy Play Series. ONE OF EIGHT – my perspective on our brother’s suicide. Sat & Sun: upon request. What would the world be like if everyone received healing touch? Nominate someone you know and PAY IT FORWARD! Let Natural Massage Therapy set you free from your Discomfort & PAIN! All of the material provided by naturalmassagetherapy.com is for educational purposes only. This information does not replace medication nor present treatment programs. Please consult medical personnel if you are presently under a physicians care, if you are taking medication, or need additional medical care.